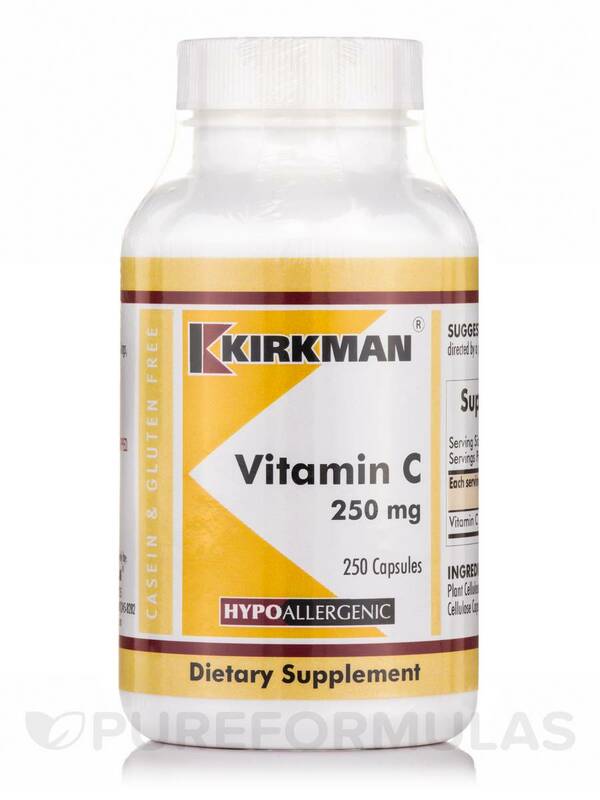 Vitamin C 250 mg Hypoallergenic by Kirkman was recommended to me by my doctor. Works great! After suffering from Soy Allergies I now have found a product and a line of products that provide my body with the much needed vitamins. Thank you for caring. 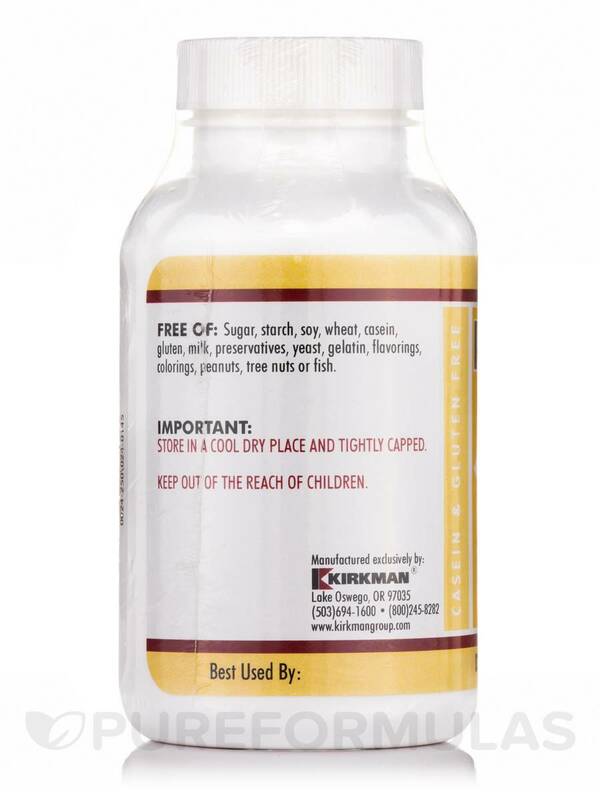 Kirkman's Vitamin C 250 mg. hypoallergenic capsules have a plant cellulose shell with vegetable grade magnesium stearate as a lubricant. 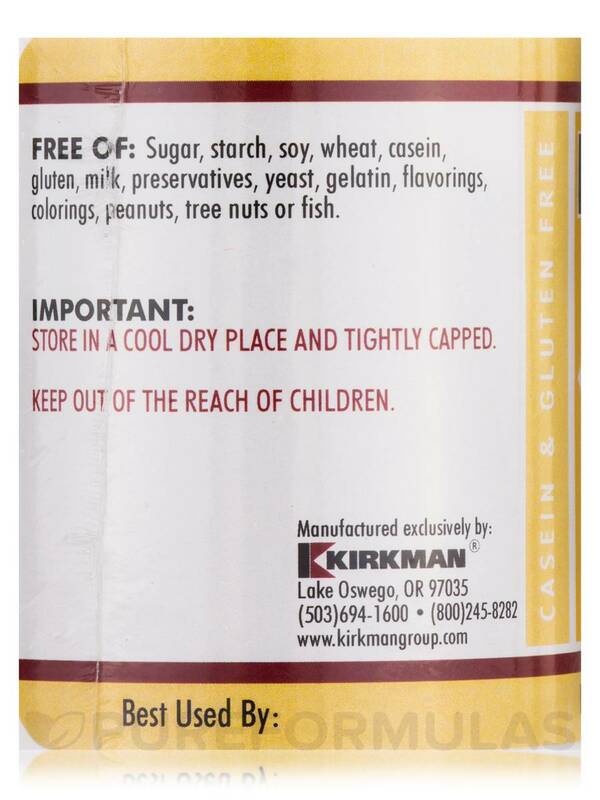 No fillers‚ flavors or other potential allergens are present. The vitamin C in this product is derived from ascorbic acid and sodium ascorbate. By using this combination‚ the extreme acidity of pure ascorbic acid is neutralized by the sodium ascorbate; this produces a buffering effect that is easier on the digestive tract than straight ascorbic acid. 1. 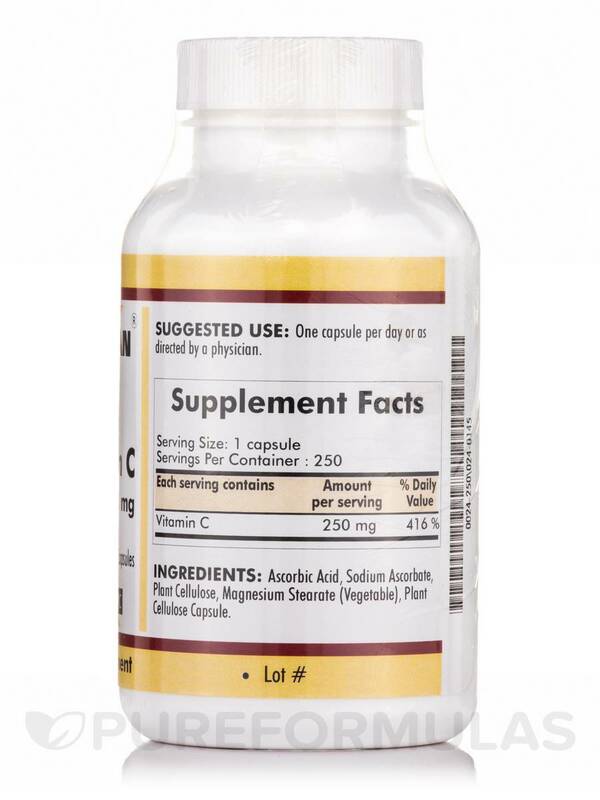 Vitamin C supports the immune system by assisting white blood cell function‚ including antibody levels and responses. 2. Vitamin C is a powerful antioxidant and that can eliminate free radicals that can damage tissues‚ organs and cells. 3. Vitamin C is essential in the production of collagen. Collagen is the main protein substance in the human body. It holds the body together in the form of tissue‚ tendons‚ cartilage‚ etc. Vitamin C's role in immune system support is one of the key elements that make it very critical for supplementation in children. It is imperative that growing‚ active children not be deficient in this nutrient. 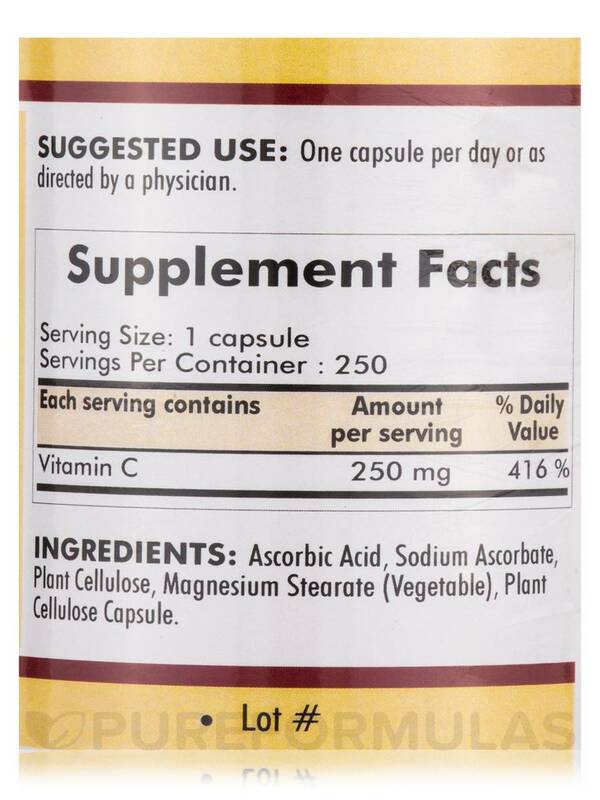 Ascorbic acid‚ sodium ascorbate‚ plant cellulose‚ magnesium stearate (vegetable)‚ plant cellulose capsule. Kirkman offers the best when it comes to pills and how easy they are to swallow. 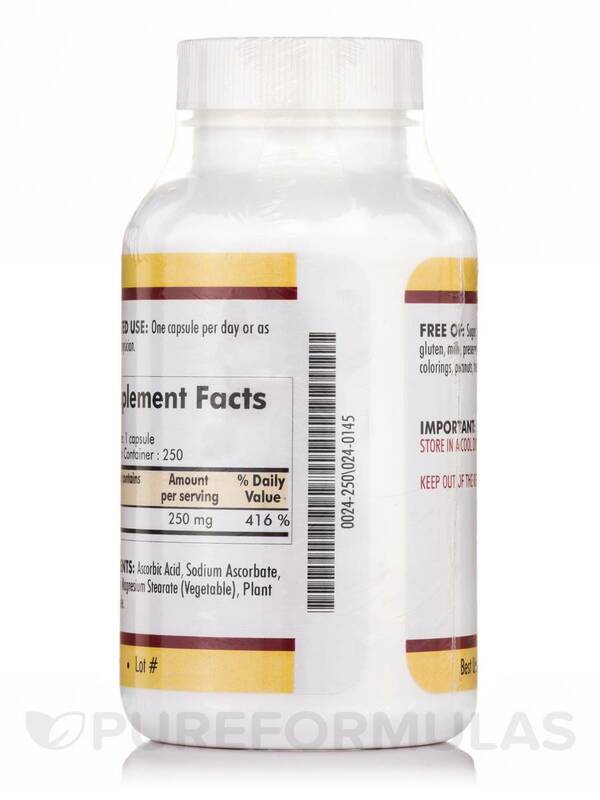 This Vitamin C 250 mg is a capsule and is quite small. My small children can swallow this pill with ease. No stomach upset with this one.